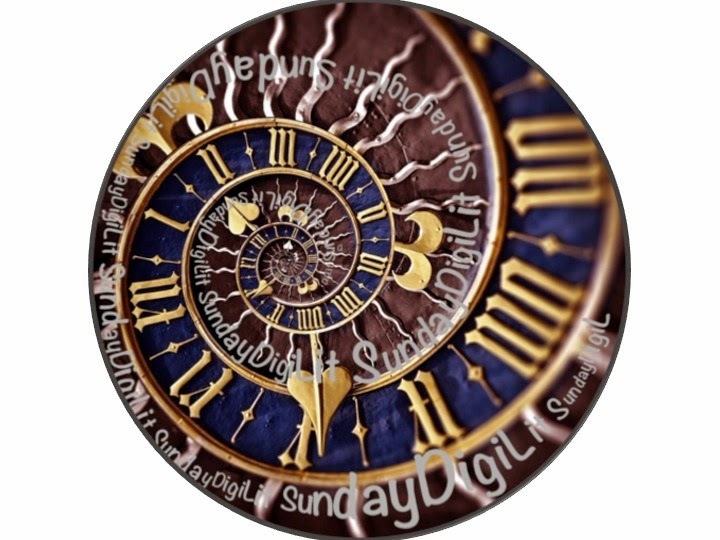 Thank you to Margaret Simon for hosting DigiLit Sundays where educators share how they are using technology in their classrooms. Please visit her site to read other posts. What a summer this has been. I started out going strong...joining the #clmooc community, and two other summer challenges, all involving some kind of writing and creating. Life happened and my journey got hijacked by circumstances beyond my control. My mom had surgery, we sold our house, put an offer on a new one, and started to pack up 16 years of stuff. I had to give myself permission to give up some of the things I started. I let go of two of the challenges, knowing I can jump back in if the time is right. I stuck with #clmooc, although I didn't get to participate as much as I wanted. And I had to ask myself why I didn't let go of #clmooc. What was it about #clmooc that kept me coming back? What can I take from this experience to my school as I work with students and teachers? I used Canva to create this graphic of my makes. 1. I had fun and I owned my learning! There was a sense of play and freedom as I took charge of my learning. 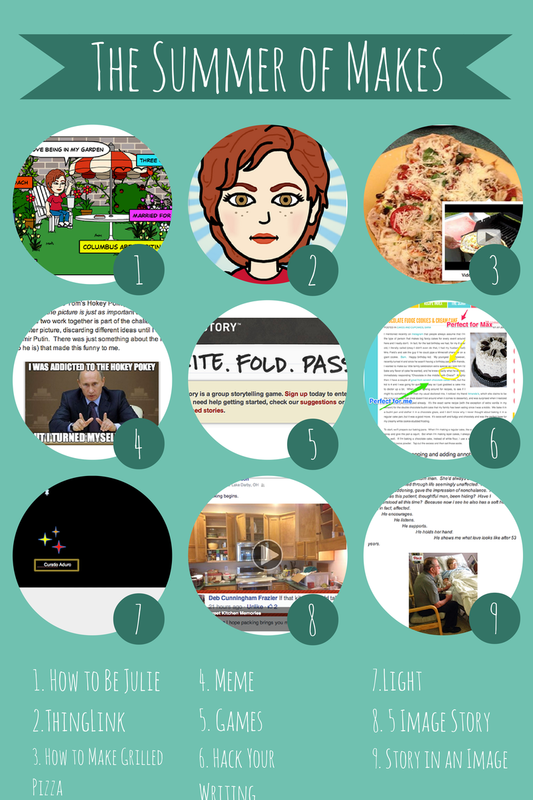 I tried new tools (Canva, Thinglink, BitStrips, Zeega, Imgflip (Meme Generator), Folding Story, Skitch, Google Draw), most of which I learned from the #clmooc group. If I made a mistake, it was ok. I learned as I went and if I needed help, the community was very supportive. 2. The experience was collaborative. There was no judgment. No one was keeping track of what I did and didn't do. Every week, I hoped to be involved in a Twitter chat, but with all the craziness, it didn't happen. Each week, I posted late (usually into the next make cycle), and my contribution was always welcomed by a supportive community. 3. Some of the makes were way out of my comfort zone. Making memes was really hard for me. I felt like I was in my students' shoes who sit in my writing workshop not knowing where to start. I had face my insecurity and give myself permission to not be perfect at this one. It called for a growth mindset. I might not be good at it yet, but I could still give it a try. Having the community to fall back on was tremendously helpful. I learned from what others were doing, using their work as mentor texts. One of the makes came out on a week that I was not at my creative best. My mom was having surgery the day the make cycle on light came out. Kevin Hodgson created a space for origin stories that I used for my piece of writing. I wrote my story while sitting in the surgery waiting room. I felt like I took the easy way out that week, but again, I knew it was ok.
4. Choice was huge. The make cycles were so open-ended. It was up to me to decide if I was going to use technology or not. I got to choose what tools were going to help me get my message across. There was time to experiment and play and get feedback from the community. As I learned about different tools from those in the community, I had more choices to make and could make informed decisions about my composition. 6. Which brings me to time. Time to create is so very important. When I'm in the classroom, it's easy to get caught up in the time constraints of getting a project done. While I know that projects can't go on forever, I have a new understanding of the importance of giving enough time to kids and adults to create, revise, and get feedback from others in the community. 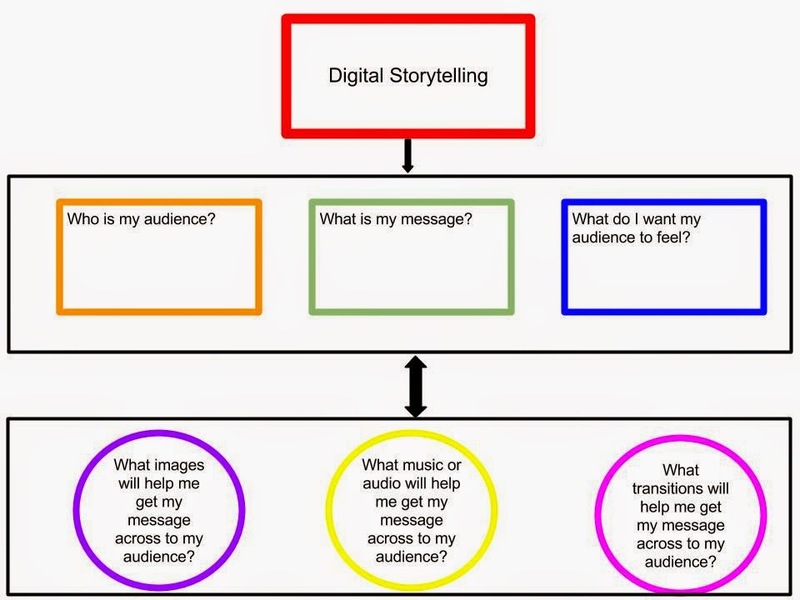 I created this simple graphic to guide my students as they think about creating a digital story. As I reread through this post, the importance of a supportive community is validated. And I am reminded of my Summer Institute experience in 2007 with the Columbus Area Writing Project. The co-directors had a saying, "The answer is yes." Whenever anyone asked, "Is it ok if I...," they replied back, "The answer is yes." So, are my take aways? What is important for a learner to thrive? What will I take with me? I am so glad I joined the #clmooc community this summer. I've connected with some great thinkers and educators and I look forward to where this experience takes me next. Awesome reflection, Julie! It says as much about you as it does about clmooc -- you own your choices and your learning and you live your life fully with your family always in mind. Love the chart for students and your cLmooc list. Are you sharing them? So glad to learn with you! Thank you Sheri. I added the chart to the Make Bank. I love your reflection and appreciate the time you took on it. I didn't do all of the makesand tried not to feel guilty yet I felt defeated, but I think most of it was brought on myself. I was intimidated by Zeega. I need to go to the tutorial that Terry put up. Also thanks for the digital storytelling graphic. Actually, I like everything about this post, most of all your honesty. Thanks Margaret. I think that letting go of having to do it all was big for me. I feel like I missed some important conversations, but even so, I got so much from the experience.